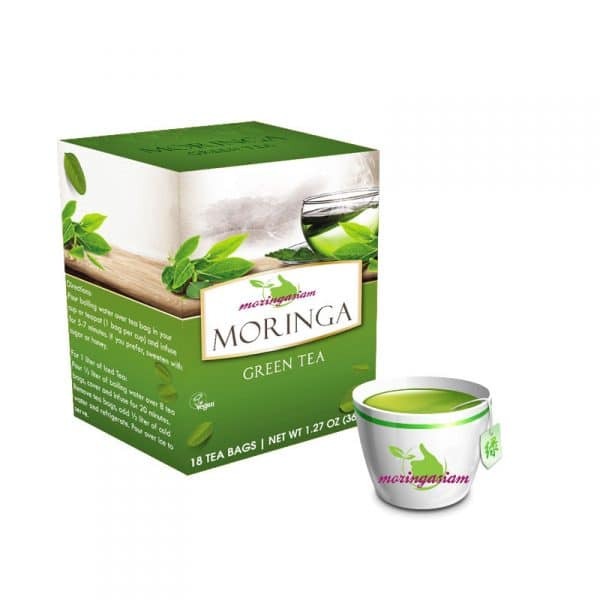 This blend is specially formulated to benefit from both the benefits of green tea and Moringa. It is a powerful and full of virtues drink, prepared in a few seconds. All you have to do is infuse the sachet in hot (not boiling) or cold water. Dosage: Drink your green tea at Moringa twice a day, at the times of your choice. Contents: 20 or 50 sachets of 2.5 grams. 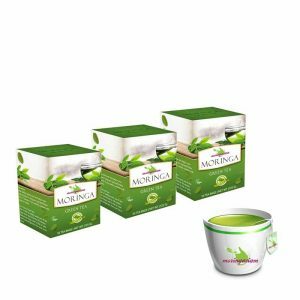 Composition: 90% pure Moringa Oleifera leaves – 10% green tea. 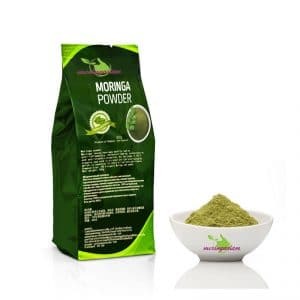 Moringa Oleifera and green tea, combined together, have high level of calcium, potassium, vitamin, iron, and other nutrients useful for your body. Moringa oleifera is also known as the “tree of life”. it brings together nutrients, amino acids, antioxidants, vitamins, potassium, iron, and many other elements needed by the human body. 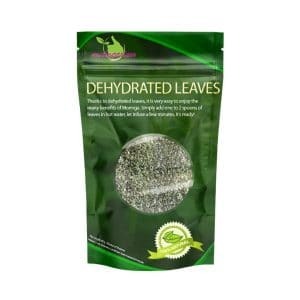 Once harvested, leaves are dried for about 15 days, afterwards they are inserted into bags ready for use. You just have to infuse them in warm water and wait for a couple of minutes. You are free to find your perfect “brew timing”, but we recommend a minimum of 1 minute to enjoy the virtues of tea. Of course, you are free to create your own recipes. It seems that the mixture of our moringa green tea with ginger, cooled several hours, is particularly delicious and refreshing. 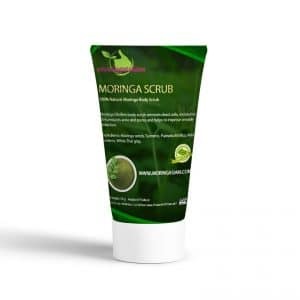 Visit or shop for more Moringa products ! Surtout pour vous informer de la réception de mes produits commandés et que nul doute sur les qualités et les vertus de ce produit. Un produit que je viens de découvrir et qui répond parfaitement à mon attente.